Got a music lover on your holiday gift list? Still not sure what to get? It's a lot harder these days. CDs that were once wrapped and placed under the Christmas tree have given way to digital music libraries and iTunes gift cards. But it's awfully hard to wrap an MP3 file with a nice bow, and you can't labor lovingly over unpackaging a playlist as you would a CD. In this post-CD world, giving music for the holidays is undergoing a transformation that has some music aficionados worried. They say music has been diluted from a soul-nourishing art form, at once both deeply intimate and social, to little more than background noise. People are still buying and giving music this holiday season, but like nearly all types of shopping, more of it is happening online. Digital music stores such as iTunes, cloud music players and streaming services such as Spotify and Rhapsody make CD players look like antiques. More music lovers are requesting a Spotify subscription or a gift card to Amazon's digital music store. "The CD continues to slide," said Mike McGuire, vice president of research for media industry services at Gartner. "It just hasn't bottomed out yet." purchased with a gift card. Other options for giving digital music include emailing songs -- iTunes has holiday gift e-notices -- using a cloud-sharing program like Dropbox or downloading songs to a flash drive. "Music gifting is not just about festively wrapped CDs anymore," said Russ Crupnick, senior vice president of industry analysis at NPD. "There are many ways to stuff a stocking." But something is lost. McGuire said music lovers used to open a CD or record the way Apple (AAPL) fans unpack an iPhone -- with a display of reverence and excitement. "It's like enjoying a cup of tea," is how Gary Saxon, who owns independent music store The Record Man in Redwood City, describes it. But Crupnick of NPD cautions not to dismiss the CD just yet. Holiday shoppers are buying and giving CDs this year -- box sets of legends like Johnny Cash and Bob Dylan and holiday albums from pop and country singers are popular. Some still like the discs, and many people still listen to CDs in the car. "It's a complete myth" that CDs are dead, Crupnick said. "Will we be buying them in 10 years? I don't know, but we're buying them now." Even Amazon sells lots of CDs, although it also offers digital music. 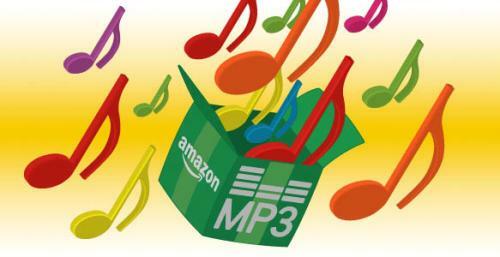 "People love CDs around the holiday time," said Jason Fischel, director of Amazon's digital music store. He said CD sales have jumped for the holidays, but Amazon's MP3 marketplace has also seen a surge of holiday customers downloading songs and buying gift cards. "The trend is very clear that ... the growth of digital music outpaces physical music," Fischel said. But it's getting harder to find CDs, at least at brick-and-mortar stores. A decade ago, shoppers could pop into a record store -- a rare sight these days -- to browse new releases and pick up a selection of tunes worthy of placing under the Christmas tree. Now many independent music stores are shuttered and CD retailer chains are bankrupt, the digital music revolution having made CDs, and the retailers who sell them, increasingly obsolete. "It's harder and harder for the shopper to just go buy CDs," McGuire said. So shoppers have had to find new ways of buying music. In the past, Crupnick said, music buyers bought on impulse, browsing music stores and mulling over CD covers and album song lists. Now they're browsing vast electronic libraries of songs, searching for band websites and clicking through social media sites. The task is often overwhelming and requires shoppers to have a deeper knowledge of music to make the right purchase. McGuire said that giving "music has become more complex with all the choices. It requires some musical knowledge that you didn't need to have before." First, you've got to know how your friends and family listen to music: In the car? On an iPod? From a laptop? How they listen will determine the format of music you buy. You also have to know which artist they like, whether they prefer a complete album or just a few hit songs, and how to find the best tracks in the vast expanse of the Internet. Such expansive music knowledge is becoming rare as more young music listeners handpick one or two songs from an artist to download rather than follow a band's career or stay loyal to a particular music scene. More music buyers are interested only in the pop star of the moment or the hit song of the month, and their musical knowledge may be limited to the list of top MP3 downloads on Amazon's website. Media players like Google (GOOG) Play and new generations of the iPod that commingle music with movies, audio books and other entertainment have contributed to the erosion of music appreciation and knowledge, industry experts said. Music has become just another layer of noise, lost in an ever-expanding media ecosystem. "It gets edged into the background," McGuire said. But Saxon of The Record Man said music is in the forefront of his customers' minds during the holidays. He's been busy with his store's Christmas sale this week. True music lovers will always delight in giving music -- and Saxon will be delighted in selling it. "It's a niche group, but for those who love it, it's real," he said. "It's their soul."